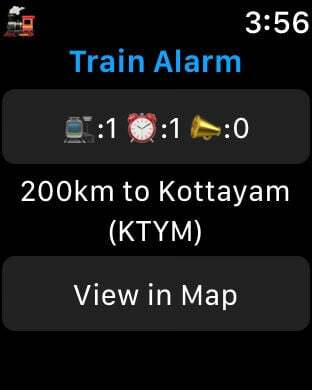 Set location based alarms for Indian Train Stations! The app comes with a list of Indian Railway Stations, with their locations, to set the alarms. Over 3000 stations are currently listed, more stations are being continuously added, and you can also add stations on your own after downloading the app! The alarms may be set with a triggering radius of 10km or 25km, and will be triggered within an error margin of 1/2 - 2km, depending on the accuracy of the location fix. - Today Widget: shows the alarm status up-to-date distance to the current alarm station. The app uses low battery consuming background location detection provided by the latest iOS core location technologies, and even this is only used when there are active alarms.